With ABS becoming mandatory from today, April 1, 2019, two wheeler manufacturers have been busy upgrading their product portfolio over the last few months with this important safety feature. Royal Enfield too had updated all their motorcycles with dual ABS with front and rear disc brake setup. But it seems, for entry level models, the Chennai based company is taking a cheaper approach. 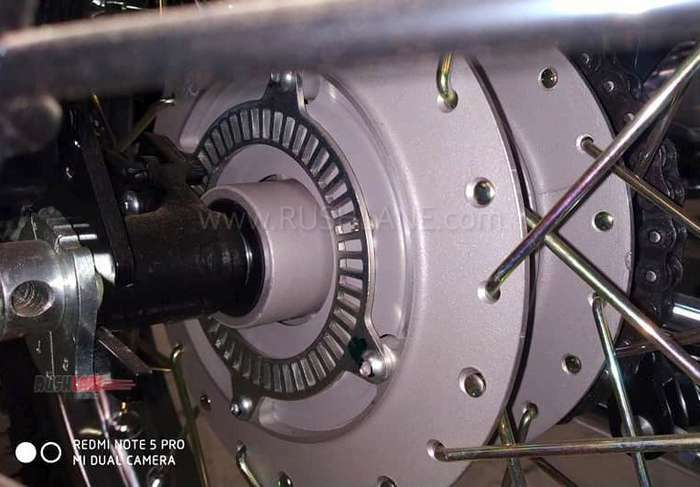 Instead of giving rear disc brake on their most affordable model – Bullet 350, RE is giving a drum brake. Does that mean it is a single channel ABS? Well no. It still comes with dual channel ABS. Yes, Royal Enfield has managed to install ABS ring over the rear drum brake. More details in the walkaround video by Subho’s Vlogs below. Upgraded Bullet 350 with dual disc and dual ABS have already been delivered to customers. But the new lot of Bullet 350 which is arriving at dealers, is coming with rear drum brake and not rear disc brake. In comparison to disc brake, rear drum brake will keep costs lower. On road Kolkata price of RE Bullet 350 with rear drum and dual ABS is about Rs 1.7 lakhs. Rear disc brakes were introduced in Bullet 350 and 350 ES models back in December 2018. But these are now coming with rear drum brake setup, and not rear disc setup. 2019 Royal Enfield Bullet 350 is powered by a 346cc, single-cylinder air-cooled, Twinspark engine that outputs max power of 19.8 bhp at 5,250 rpm and max torque of 28 Nm at 4,000 rpm. Just a few weeks back, Royal Enfield had launched ABS variant of Bullet 500. As compared to the outgoing model, 2019 Bullet 500 is costlier by Rs 14,000. Bullet 500 continues to be offered with rear disc brake. Royal Enfield 650 twins, Interceptor and Continental GT, have dual-channel ABS as standard equipment from day one. Other RE motorcycles have also received dual disc and dual ABS. ABS helps increasing the braking performance exponentially. To understand how ABS works on drum brakes, here is a detailed explanation. Royal Enfield has started working on next generation of their motorcycles. The entire range of Classic, Bullet and Thunderbird will be updated with new chassis, new BS6 engine, etc. Classic and Thunderbird 2020 range has already been spied on test in Chennai.